You shouldn’t be posting links to ROMs, I’d suggest you remove that. And why do you need to view these animations, anyway? You’d need to ask the people who made the animations if you want to use them, anyway. 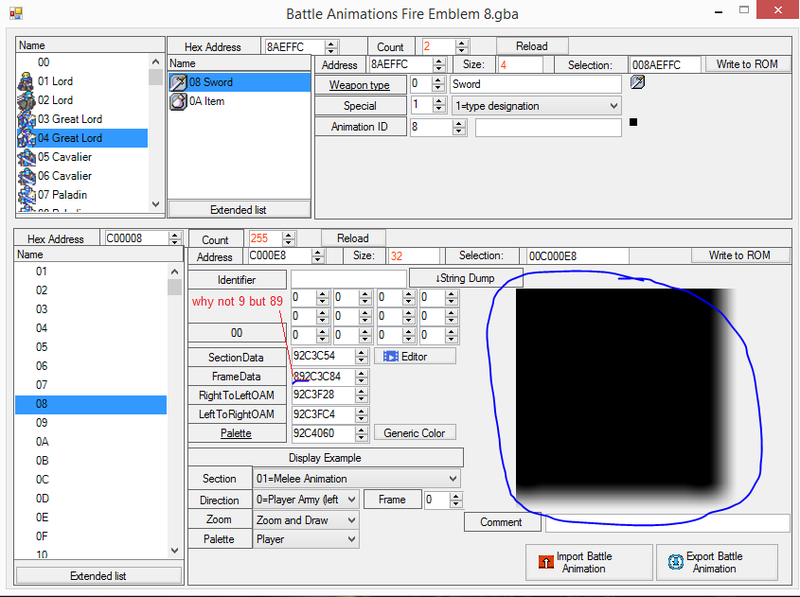 I collect battle animation in others room to create my own custom room , so i need show these animations to export them. How can i export these battle animation by other ways. I feel interesting this game and a path in my childhood so I just research animations for fun and change some animation in game for difference , i dont want to steal other peoples work or realease any custom room. Well to answer your question, the creators of staff of ages use buildfiles to make their game. And u probably cant view the animations they insert that way. The animations are still there believe or not but viewing and exporting them are not possible. This is because Staff of Ages V2.1 has its own data structure. 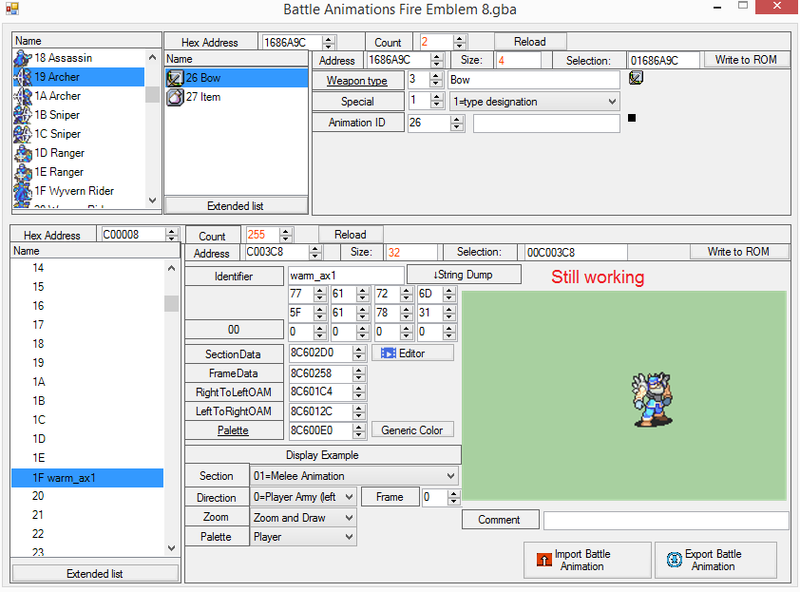 In the case of FE, Battle Animation’s FrameData is compressed with lz77. However, with Staff of Ages V2.1, it seems that data is stored without compression. In that case, it is marked Pointer + 0x80 00 00 00 as in like AntiHuffmanPatch. Because FEBuilderGBA doesn’t know this uncompressed data structure, it can not read correctly. Is a patch for storing Battle Animation uncompressed available to the public? If it is a publicly available patch, please tell us the URL of that patch. The lord ones will likely stay closed the rest will be released eventually. The fact that you decided to try and steal them without permission and had the audacity to try and publically ask for help to do so is just appalling. I actually disagree with you, @Dancer_A. OP didn’t actually share or make any release of a hack. As I said to someone else who reported the same thing, it’s for private use, and I think that’s fine. It’s a bit hypocritical to accuse OP of stealing given that we’ve all got illegal copies of a Nintendo Game. OP was obviously just messing around - don’t we encourage this sort of behaviour, given that this is what advances ROM hacking?